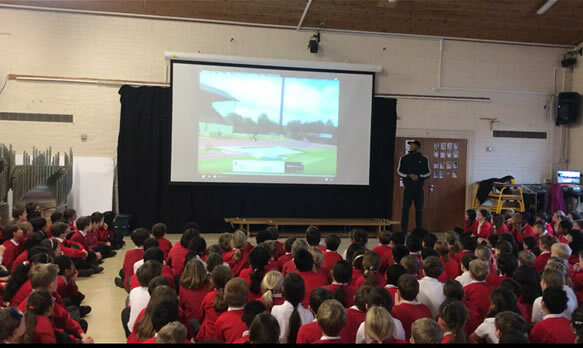 We make our athletes available to deliver Inspirational Assemblies. We have handpicked those who are particularly comfortable and confident talking to large groups and happy to field any questions that might come their way during the Q&A session - and we know these can be many and varied! 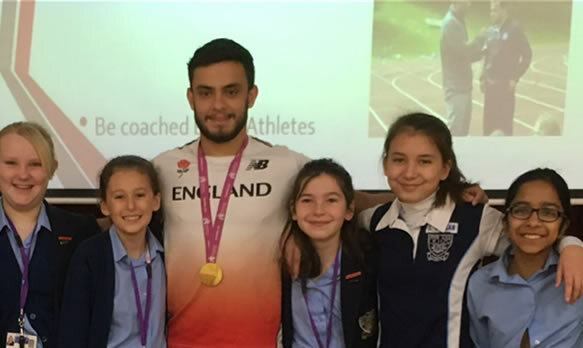 This is an ideal opportunity for your pupils to benefit first hand the uplifting, motivational and life-enhancing messages of athletes who, as international competitors and Olympians, have risen to the elite level. Pupils can listen to, question and meet our athletes, and any of us who experienced this as a child can remember what quite an impact it can make. In fact it set many of us on a path to national, international and Olympic recognition! We were delighted to welcome Serita Solomon to Handcross Park in the spring to inspire our children. She spoke to them in a superb way and made them realise that you should never give up on your dreams, nothing is impossible. She spoke about hard work and determination and enthralled our children as she explained her journey from grassroots athletics through to competing for Great Britain. Serita is a superb role model and we are extremely grateful to her for coming to inspire our children. Listening to Serita Solomon was an incredible experience. It made me have more confidence in myself as a hurdler whilst listening to Serita's story. Serita is such an inspirational woman, and if you keep trying and keep pushing hard, then it is possible to achieve your goals.